Shirley Macnamara (1949– ) Born 1949 near Camooweal, Queensland. Indjalandji-Dhidhanu people, Queensland / Alyawarr people, Northern Territory. Lives and works near Mount Isa, Queensland. 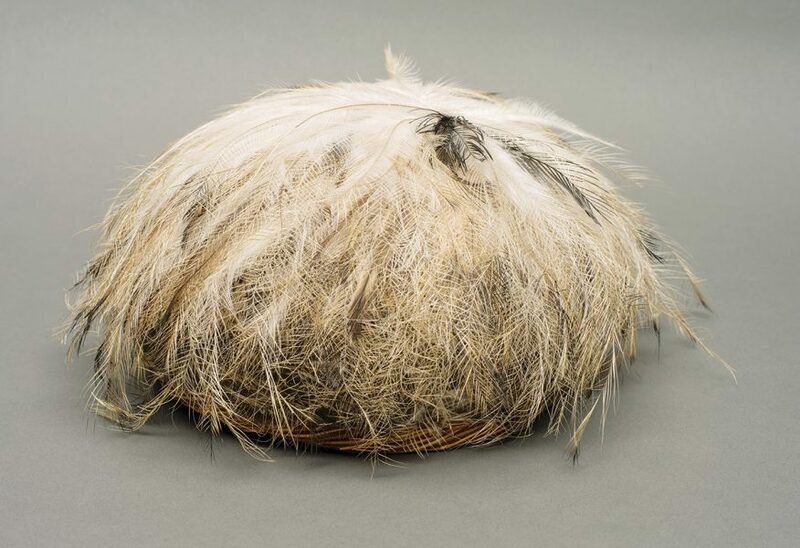 Skullcap 2013 spinifex (Triodia longiceps), ochre and emu feathers 12.0 x 24.0 x 23.0 cm Collection of the University of Queensland, purchased 2016. Reproduced courtesy of the artist and Alcaston Gallery, Melbourne. Shirley Macnamara (1949– ) Born 1949 near Camooweal, Queensland. Indjalandji-Dhidhanu people, Queensland / Alyawarr people, Northern Territory. Lives and works near Mount Isa, Queensland. 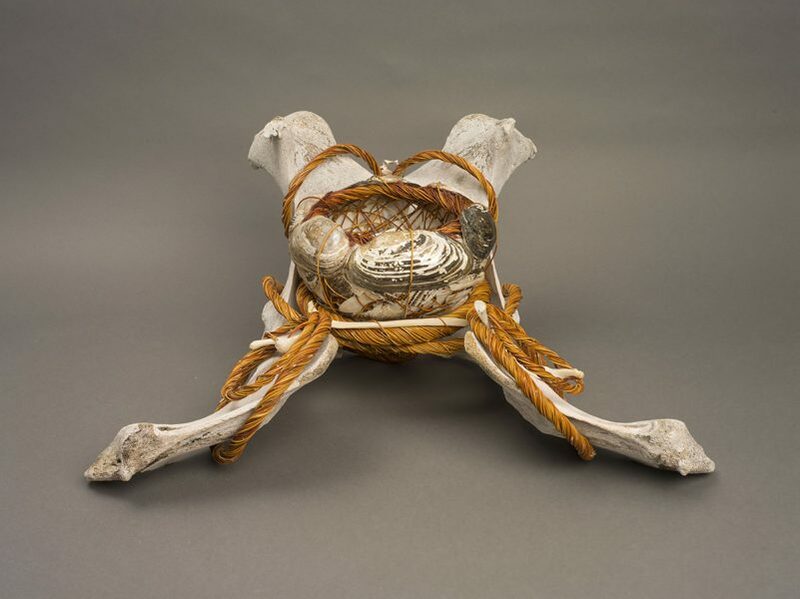 Gilgai 2017 bovine pelvic bone, spinifex, avian bone, kangaroo bone, freshwater mussel shell, fixative, ochre, wax 25.0 x 54.0 x 40.0 cm Collection of the University of Queensland, purchased 2017. Reproduced courtesy of the artist and Alcaston Gallery, Melbourne. Shirley Macnamara (1949– ) Born 1949 near Camooweal, Queensland. Indjalandji-Dhidhanu people, Queensland / Alyawarr people, Northern Territory. Lives and works near Mount Isa, Queensland. Well of remembering 2016 spinifex, bullock bone cross, emu feathers and fixative 28.0 x 26.0 x 20.0 cm Collection of the University of Queensland, purchased 2017. Reproduced courtesy of the artist and Alcaston Gallery, Melbourne. Shirley Macnamara (1949– ) Born 1949 near Camooweal, Queensland. Indjalandji-Dhidhanu people, Queensland / Alyawarr people, Northern Territory. Lives and works near Mount Isa, Queensland. Wirtpi 2015 spinifex with emu feathers 7.0 x 22.0 x 22.0 cm Collection of the University of Queensland, purchased 2017. Reproduced courtesy of the artist and Alcaston Gallery, Melbourne. Spinifex (Triodia) is a native grass that grows abundantly in the arid landscape of northwest Queensland, the homeland of senior Indigenous artist Shirley Macnamara. An extremely tough and resilient plant, spinifex has been used in traditional Indigenous culture for thousands of years, and has various structural, ornamental, medicinal and ceremonial functions. Spinifex is the material of choice for Macnamara, who twists, coils and weaves the grass to create forms that are at once delicate, intricate, complex and subtle. Born in 1949, Macnamara grew up on a cattle station, and has always had a close relationship to the land. 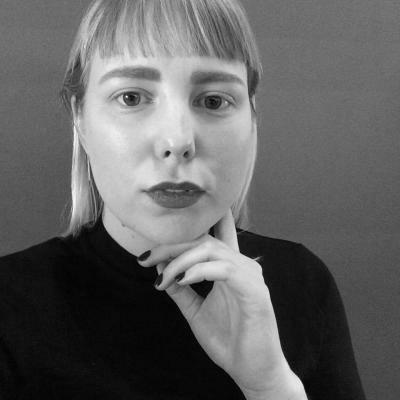 With a strong desire to make work born of her country, she has developed an artistic practice that addresses political, cultural and environmental issues, as well as telling personal stories. 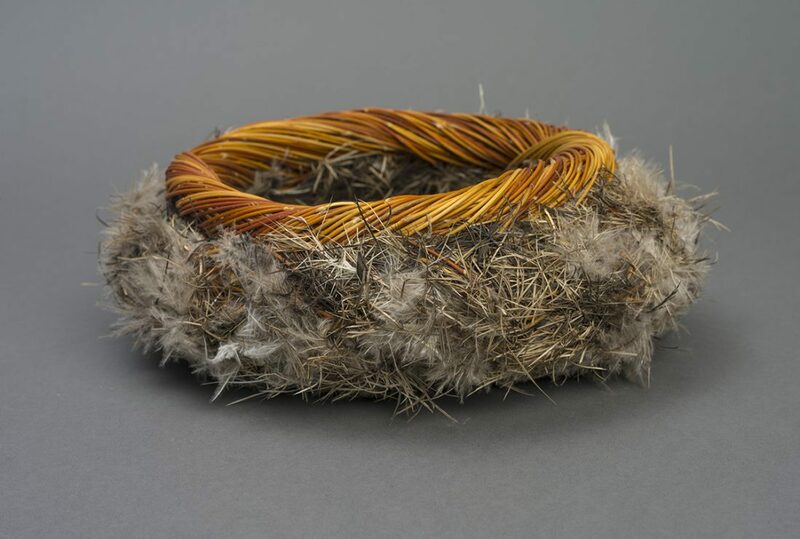 In addition to spinifex, Macnamara often uses other materials sourced from the natural environment, including kangaroo bone, emu feathers, seeds and natural ochres. Exhibition curator Michele Helmrich acknowledges that Macnamara’s contemporary fibre works are “recognised nationally for their beauty, innovation and cultural significance”. Layered threads, at the UQ Art Museum, is a well-earned solo exhibition for the artist, who has received much critical recognition in recent years. 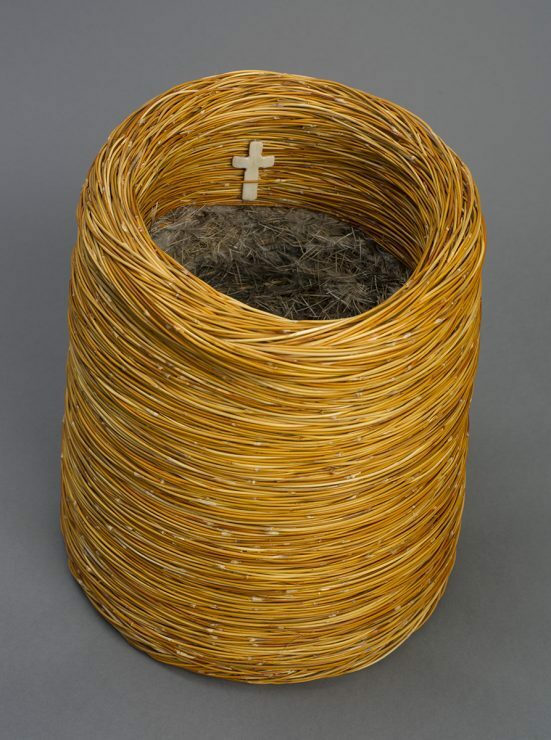 The exhibition features Macnamara’s distinctive sculptural works as well as a series of photographs taken by the artist of the native spinifex landscape. Macnamara’s woven vessel Nyurruga Muulawaddi, which won the Wandjuk Marika Memorial 3D Award at the 34th Telstra National Aboriginal and Torres Strait Islander Art Awards in 2017, will be shown. 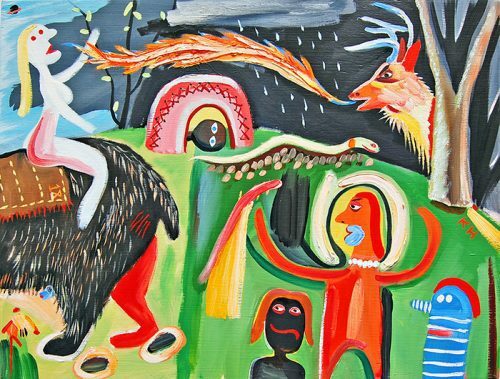 Layered threads is presented at the UQ Art Museum alongside Defying Empire: 3rd National Indigenous Art Triennial and a solo exhibition by Brisbane-based Waanyi artist Judy Watson. 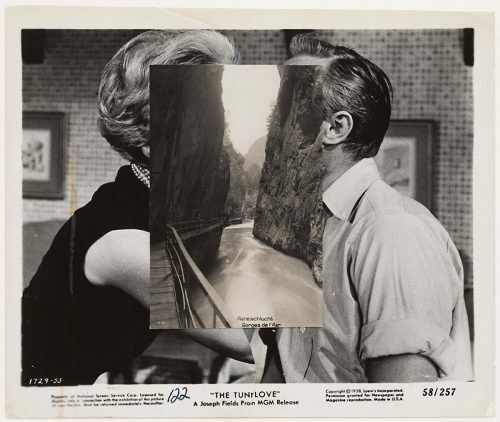 Not unlike the vintage photographs he works with, John Stezaker was unearthed after decades of obscurity.